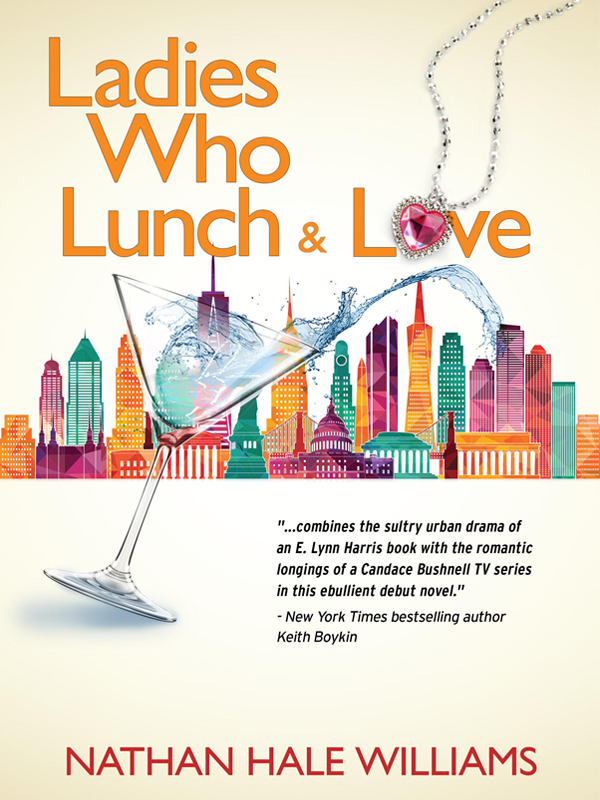 Ladies Who Lunch & Love, the dazzling debut novel from former Essence magazine columnist and NAACP Image Award nominee, Nathan Hale Williams, is the story of four fabulous New York society women navigating life and love while sharing their gay best friend. Not your typical snobs or real housewives, these ladies are down-to-earth, relatable women who know how to have a great time even when confronting life’s challenges. Over the course of a year, our narrator and the ladies go on a journey that forces them to examine their lives and choices, yet enjoying the glamorous side of NYC living like you’ve never before seen. Ladies Who Lunch & Love is a novelization of Nathan's popular Essence magazine love and relationship advice column, "The Girl's Best Friend." It is heartwarming, complex, and full of relatable, but well-crafted characters who live extraordinary lives. Yet, every woman (and man) can identify with their stories and struggles. Love is singularly the one thing we all pursue. We all have known it, and we all have lost it. It is ever changing and ever so confusing. Love (and its beguiling ways) is what makes us tick. It is the foundation of life and the core of our existence. Anyone professing to completely understand love is a liar. So I’ll just say that I am its student. Whitney Houston was singing about it as I stepped in front of the mahogany floor-length mirror beside my matching bed. According to the song, she found out what she’d been missing, and it was love. Thankfully, just in time to be rescued, she discovered a lover who gave her good love. Good for her. For me, my love for the new leather blazer my parents sent would have to do for now. Love comes in many forms. It was the occasion of my thirty-ninth birthday, and I’d screeched up to the edge of forty. Not sure what it is about the big 4-0 that perplexes the minds of men and women, but I was certainly not immune to its vexations. It is universally the age where you take full stock of everything you have done - and everything you have not. I was usually ecstatic about celebrating my special day, but the tolling bell made me less so. Sure, there was plenty of love in my life. And yes, there was also a lot to be grateful for, and I am. I get to do what I love to do for a living. I also have a loving family rooted deeply in Chicago’s south side. A bevy of dear friends who have become family. Oh, and we can’t forget that one of the biggest loves of my life, New York City, is the place that I call home. I was seven years old when I first visited the enormous metropolis that is New York, and I was instantly seduced. It felt so different from Chi-town. The smells, the rhythm of the city - intoxicating. From the moment my father opened the taxi door in front of my cousin’s apartment building in the West Village neighborhood of Manhattan, I knew I had met my match. There was so much noise. So much going on. And the people! The people were all beautiful and dressed like in the movies. Everyone seemed to be going somewhere important to do important things. At seven years old, I knew this city would be my destiny. Don’t know how I knew, but I did.